‘Asia Prince’ 2PM Nichkhun will hold his first solo concert in Korea. 2PM Nichkhun will hold his first solo concert in Korea in May. JYP Entertainment said on April 3. “the group's 2PM member Nichkhun will hold a solo concert called "NICHKHUN SOLO CONCERT 'HOME' IN SEOUL on May 11 and 12 at Ewha Womans University's Samsung Hall located in Daehyeon dong, Seodaemun gu, Seoul. In addition, JYP unveiled the poster for Nichkhun's first solo concert at 6 p.m. on April 2, through various SNS channels on 2PM. Nichkhun in the poster raised fans' expectations with his sweet look of playing the keyboard under calm lighting. Nichkhun previously released his first solo album "ME," which took part in writing and composing of full songs, 11 years after his debut on Feb. 18, 2019, and showed off his talent as a "Singer Songwriter." 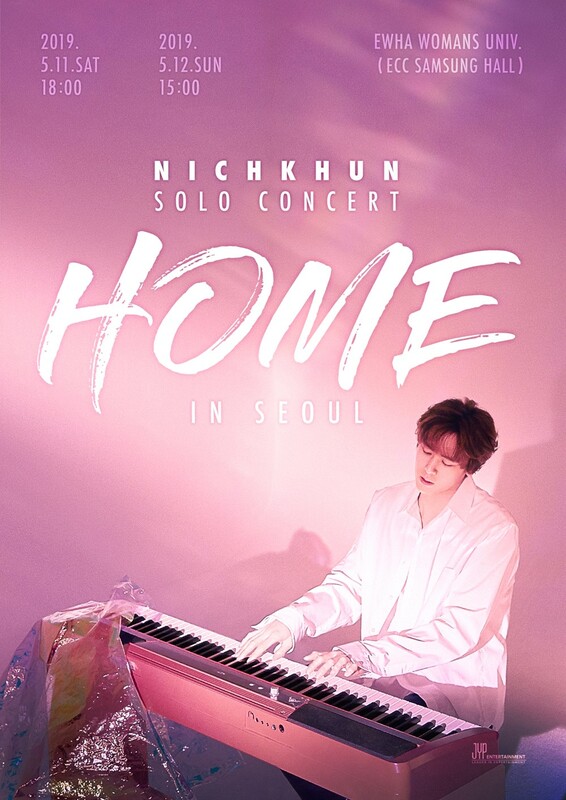 Through his first solo concert "NICHKHUN SOLO CONCERT "HOME" IN SEON SEOUL," Nichkhun will offer a variety of charms with his mellow vocals and various stage configurations. Nichkhun released his first solo album "ME" in Japan in December last year, and in November and December of the same year, he performed his first solo concert "NICHKHUN (From 2PM) Premium Solo Concert 2018 "HOME" in Osaka and Tokyo, demonstrating his popularity as an "Asian Prince." "NICHKHUN SOLO CONCERT 'HOME' IN SEON SEOUL" was pre-booked for the fan club at Interpark on the 5th and 8th of this month, and general reservations mis opened at 8 p.m. on the 10th.